Bonfire Night, and many other seasonal and celebratory occasions, wouldn't be the same without the right food and drink - usually something warming for a cold night. Here are a few recipes for some traditional Nov 5th and Halloween treats. 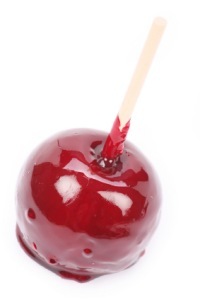 Can you beat the classic toffee apple? Hot and sticky on the outside, cool, soft and sweet on the inside. If you are planning any sort of party around bonfire night this cheap, easy and delicious treat is a must! Wash and dry the apples, remove the stalks, and push in a lollipop stick• Place all the ingredients in a heavy-based pan and bring to the boil. Cooking time is approximately 30 minutes. If you have a sugar thermometer it should read 150C or 300F, or you can test by dripping into a bowl of cold water. The toffee is ready when drops harden. Dip each apple into the toffee, remove and air-cool a few seconds then repeat until thickly coated. Dip into a bowl of cold water and place on sugar-dusted tray until cool. For fantastic mulled wine you will want to start with one of our great wine kits, such as the 30 bottle Magnum Red Wine kit which makes 30 bottles of superb wine in less than 14 days. The mulled wine sachets contain all the ingredients you'll need to make heart-warming mulled wine, just add a bottle of red wine, boiling water and sugar to taste. There are 10 sachets included! Just take a bottle or two of your homemade red wine, warm through and sweeten as directed. This tasty and warming drink will keep all the grown ups happy. Delicious, dead easy, and making the most of a seasonal vegetable. A great snack that everybody can enjoy. 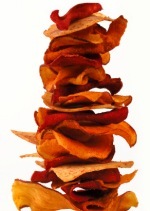 Cut long, thin slices using a vegetable peeler. The core is stringy and best avoided. Heat the oil in a deep-fryer or thick saucepan, to180C/350f/Gas4. A cube of bread should sizzle and brown. Fry the parsnips in batches until crisp and golden brown. Drain onto kitchen towel. Serve with plain or sea salt, or soy sauce. Coopers Ginger Beer A traditional flavoured ginger beer with a hint of spice and plenty of bite, sure to quench the deepest thirst. Can be made as an alcoholic drink with 1 kilo of brewing sugar or a non alcoholic drink, which the kids will love, with the only addition being carbonation drops as priming in the bottles. Can you beat a good old baked potato! Traditionally done in the bonfire embers but much safer and cleaner in the oven or the microwave. Choose good sized smooth-skinned potatoes. Scrub well in cold water. Bake at 400 F for about an hour, or as appropriate for your microwave setting. For great mulled cider you will want to start with one of our great cider kits, such as the 40 Pint Magnum Cider kit which makes 40 pints of fresh, crisp cider in 14 days. 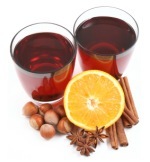 The mulled wine sachets contain all the ingredients you'll need to make the spicy cider, just add a sachet to a large jug of hot cider and enjoy. There are 10 sachets included! Just take a couple 3-4 pints of your homemade cider, warm through and sweeten as directed. Another one which might be done in the bonfire, but the oven is better. 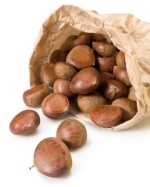 Chestnuts come into the shops just in time for Bonfire Night, and a bag of roast chestnuts is a great hand-warmer. Prick with a fork to prevent bursting. Put in a roasting tin and bake until the skins open and the insides are tender - about 30 minutes.